​5 star food hygiene rating. In December 2018, we were awarded 'Best Catering Team in the UK' at the pretigious Caring UK awards. Our food is locally sourced, freshly prepared, wholesome, appetising and designed to suit all tastes, with a wide variation of delicious dishes. Residents receive three meals a day. Lunch is a choice of fruit juice followed by two courses, and the evening meals consists of three courses. Our six week menus are varied, seasonal, and include requests and suggestions from residents, and there is always a choice available. Special attention is given to individual taste and dietary requirements. Alongside our home-made meals we provide refreshments as required. We also offer morning tea/coffee and biscuits, and afternoon tea with home-made cake, freshly made every day. Residents' guests are always welcome to a tray of tea on arrival. Meals are freshly prepared with great emphasis being placed on home grown vegetables and the best of fresh food. These come from our own vegetable garden. We also have members of staff bringing in produce from their own gardens, and often receive donations from other local gardeners. We have regular deliveries of fresh produce from local suppliers for our other cooking ingredients. This ensures our fish, meat and vegetables are all freshly cooked for extra taste and nutrition. 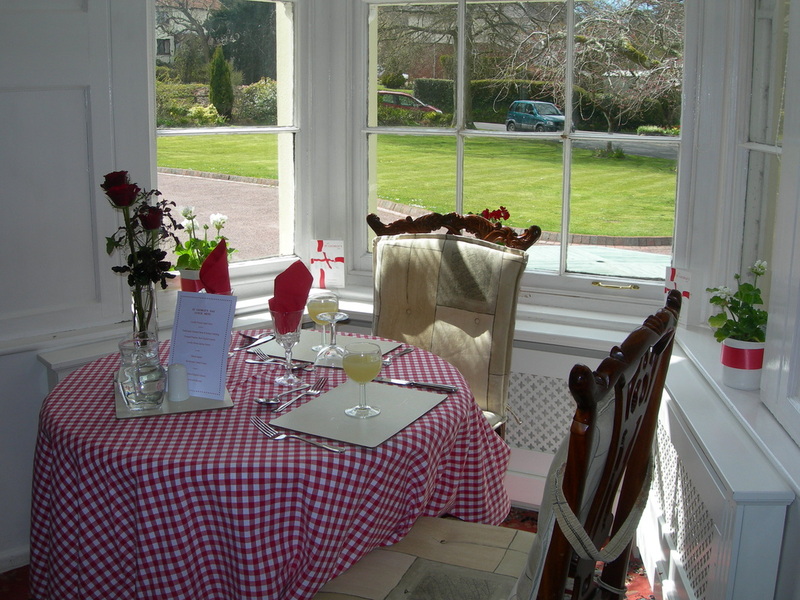 All meals can be served either in the attractive main dining room with views over the front lawn, or in the private dining room which can be used by residents for meals with visiting family or friends, or if preferred, in the resident’s room. Guests are always welcome to join residents for meals. 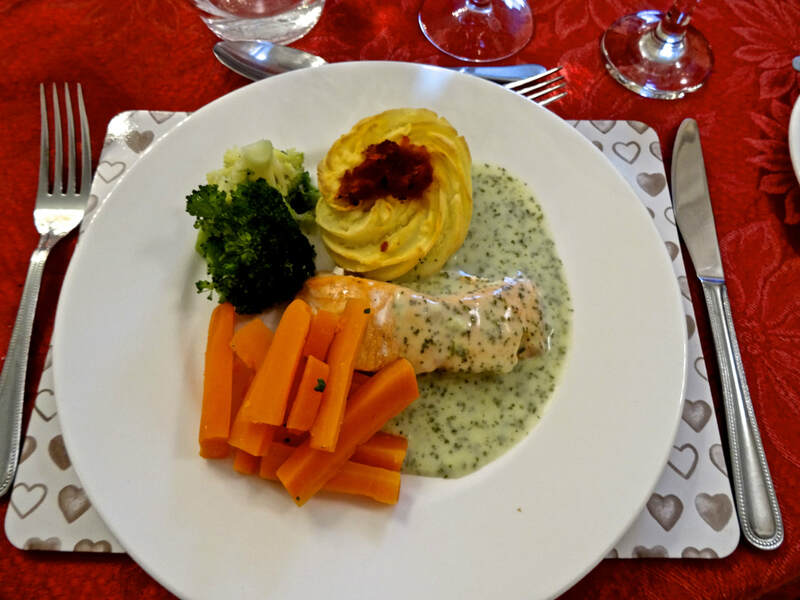 We have a varied and tasty six week menu with a variety of home cooked meals and delicious puddings to cater for all tastes. Meals are nutritionally balanced and choice is always available.